The newsletter work slowdown continues and one can only hope that someone other than us here at the office notices. But better late than never, and I'll stop apologizing for being tardy. I'd rather just not be late but someone's got to get sick and cough up lungs around here. Be thankful it's not you. In any case, you can check out this newsletter--or any or our past ones--as web pages here. First I'd like to mention the incredible turnout of Andrew Coburn's signing at the Andover Book Store in Andover, Massachusetts. People were literally buying three and four copies at a time, and yes, the bookstore did run out of books. The event was spectacular and the book itself has been gathering rave reviews from places like the LA Review of Books and Booklist. There was a second signing on November 1st and another one is being arranged for a different bookstore. If you're near the Boston or New Hampshire area, drop us a line for details. Andrew is a gracious host with a dry sense of humor and a wonderful family that will make you feel right at home. 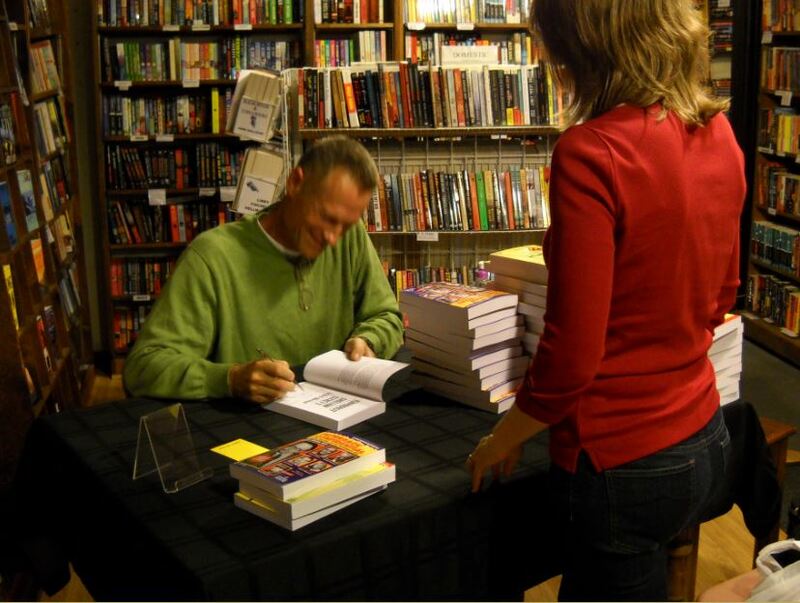 The other signing report we have is the one that Gary and Pat hosted at the most excellent Once Upon a Crime bookstore in Minneapolis. If you're ever in the area, check out the store and then ask to be let into the Annex. If you're a collector of old Dell Mapbacks or classic PBO fiction, as well as a huge selection of hardcovers, you won't be sorry. One of the things we did for the event was come up with a limited edition chapbook containing two essays I'd written about Charles Williams and Peter Rabe. There are only 100 of these in existence and they're all signed and numbered. If anyone wants one, it's not too late. And I'll tell you how to get one, completely free of charge. Like you could beat that with a stick. But seriously, anyone who posts a review on a site like Amazon or Goodreads or something like that, just send me the link and I will mail you out a chapbook. It may not be much, but it's the best I've got and enticing people to write any sort of review can be a tough thing, we all have so many things to do, especially around this time of year. And next week it's off to Bouchercon in Long Beach. I'm doing a couple of formal things but please, by all means, step up and introduce yourself if you're there. One of the best things about last year's convention was getting the chance to meet several of our readers. I'd love to keep that going, especially since I won't be able to get to Bouchercon 2015 in North Carolina next fall. 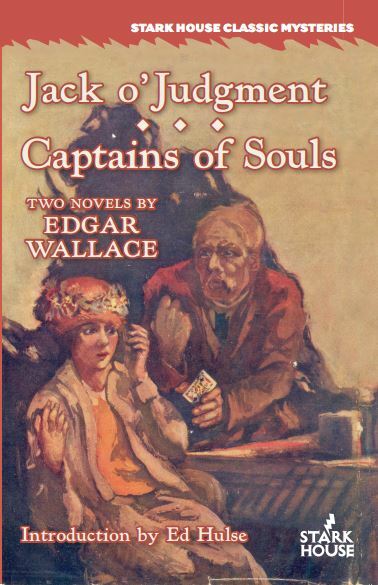 In keeping with our increased slate of titles, we're also shipping the Edgar Wallace book I talked about last time, which contains both Jack o' Judgment and Captains of Souls. Wallace was one of these massively popular and prolific writers, similar in a way to E. Phillips Oppenheim, who sold millions of books in their heyday but nowadays have somewhat faded like most pre-current generation writers do. But what wonderful writers, both Wallace and Oppenheim, and if you haven't sampled their work, we're making it as easy as we can. Ben Savitch, reporter for The Astonished Eye, finds himself in Elderton, Illinois, the town where he was born. After years of chasing fame, this is the last place he expected to be searching for the elusive story that would put his name on the map. 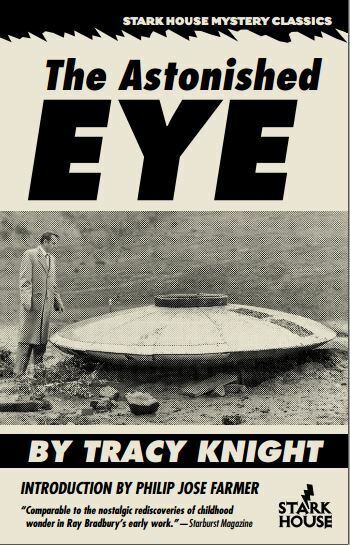 But a UFO landing has been reported in the area, and Savitch intends to be the one to track it down. a TV hero!) and Vida Proust, who seems to be dead (only no one wants to tell her). They all have something to teach Savitch about being human, if only he will take the timeto listen—before it’s too late. Tracy Knight blends a story of one man’s search for his identity into a tale of fantasy, mystery and science fiction, with all the charm of a modern American fable. Mercedes Lambert wrote four books in her all-too short life. Her real name was unusual for a woman, Douglas Anne Munson. The first novel she wrote was a mainstream book with her real name as a byline. Then she wrote a marvelous trilogy of crime novels under the name "Mercedes Lambert." These were Dogtown, Soultown and finally Ghosttown. While the first two have long been available as a Stark House double, this is the first opportunity we've had of closing out this marvelous series. Had Ms. Munson lived, she'd have likely taken a place near the top of the crime fiction world. 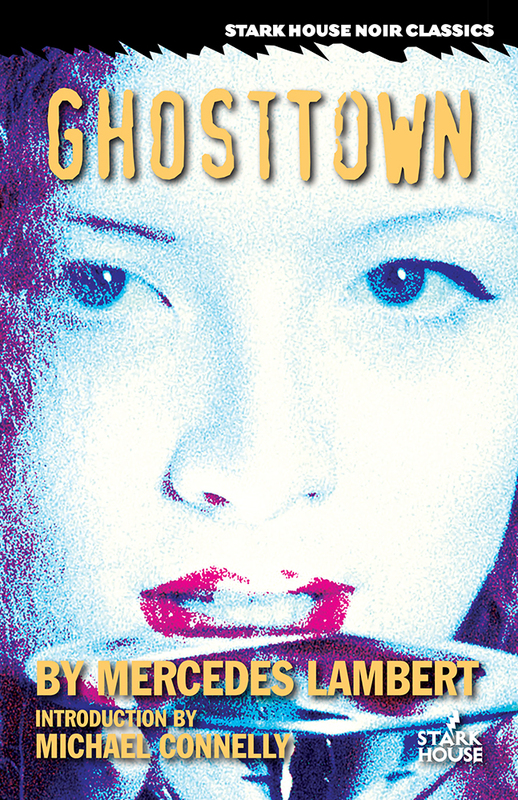 In Ghosttown, called "the best book in the series" by Los Angeles magazine, John Rechy says that with Ghosttown, "Mercedes Lambert has become the female Raymond Chandler." 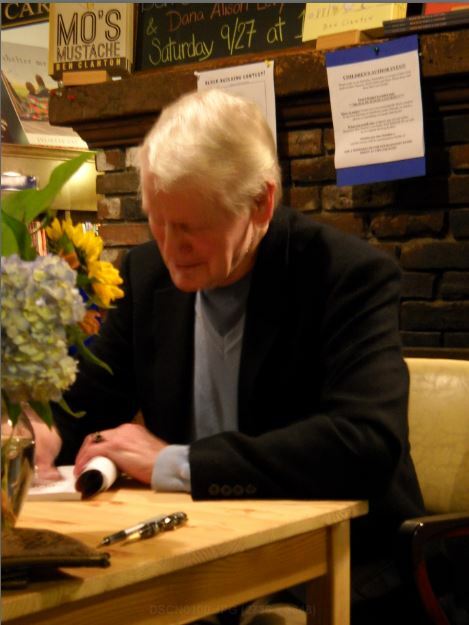 My favorite endorsement comes from the great Ken Bruen: "She breaks my heart with her beautiful writing." if you haven't discovered Mercedes Lambert yet, do yourself a favor. You'll be glad you did. What can you say about the near-legendary Ed Gorman (that I ddin't try to cram in my 12,000 word introduction) that hasn't already been said? He's written more books than he cares to count, been as prolific a short story writer as we've had this generation, and has supported and inspired any number of young writers with his encouragment and kind words. In The Autumn Dead and The Night Remembers, we have two of his very best PI novels. Autumn Dead features his first PI protagonist, Jack Dwyer, and the second book is an entry in his Jack Walsh series. Despite their similar names, they are far from the same character. 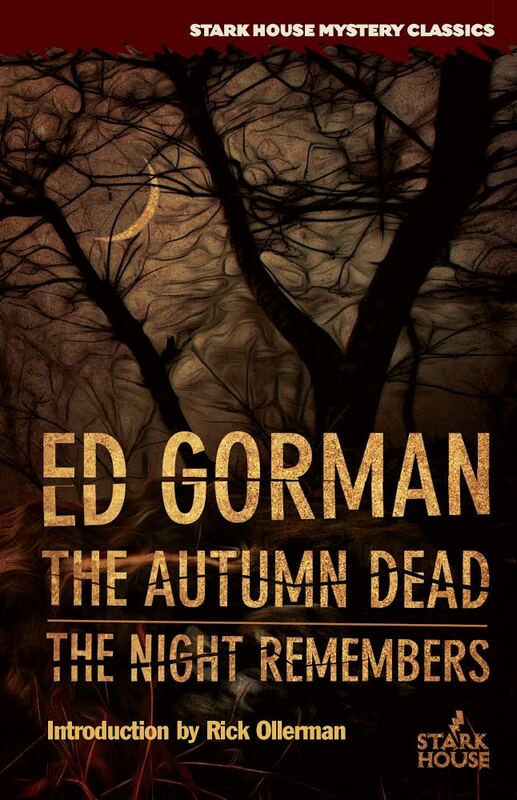 While it seems that most people think of The Autumn Dead as being Ed's best PI book, my own favorite is The Night Remembers. It's got that extra bit of melancholy, of lonelieness, that neon flashing in the rain sense we all seem to be able to relate to on some internal level. These are two classic novels by one of the most-loved writers of the past twenty or so years. If you're new to Ed Gorman, this is the perfect place to start. Following on the heels of the sales we offered newsletter subscribers early in the year, we're offering another one up, featuring some terrific titles. All these books are on sale for $4.99 each, and you can e-mail us with your order or questions. Some of these books are returns from the distributor (thank you Barnes & Noble--see previous newsletters if you're curious as to some of the behind the scenes ways books are sold) and others are just plain overstock. First off, we have a recent Peter Rabe volume, Kill the Boss Good-by / Mission for Vengeance. Kill the Boss was specifically cited by the late Donald E. Westlake as his favorite Peter Rabe novel. We also have copies of the under-appreciated Jada Davis's classic Midnight Road. Davis wrote one of the hardest boiled noirs of all time with One for Hell and while this is a much softer novel from a violence perspective, take a chance on it, especially at this price. The book is really that good and it will make you wonder why you've waited. Next year we will be publishing the sequel to Catherine Butzen's Thief of Midnight. This is not a crime novel per se (well, it kind of is, but it's more of a supernatural kind of story with a bunch of crime mixed in), and it centers around a small group of people who have not only discovered that the creatures of ancient legend are actually real, using their supernatural abilities to threaten the rest of us, the non-aware world. If you're a fantasy reader who likes a witch like the crone Baba Yaga mixed in with a series of crimes with an ultimate insidious goal, you should give the book a look. I'll talk next time about some more upcoming books, including two by the queen of suspense herself, Elisabeth Sanxay Holding, but in the meantime, we've given you plenty of new books to take a look at already. 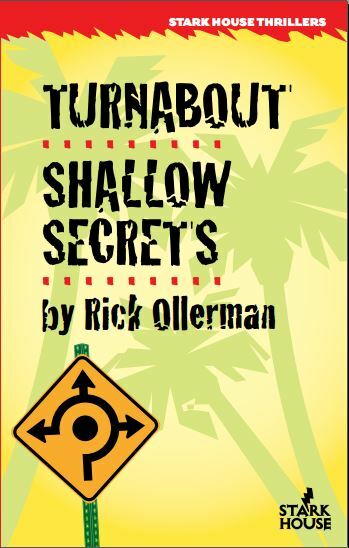 Write a review of Turnaround / Shallow Secrets and get your limited edition chapbook. Read some vintage crime stories with Edgar Wallace. Help fill out your Stark House collection with the current crop of sale books. 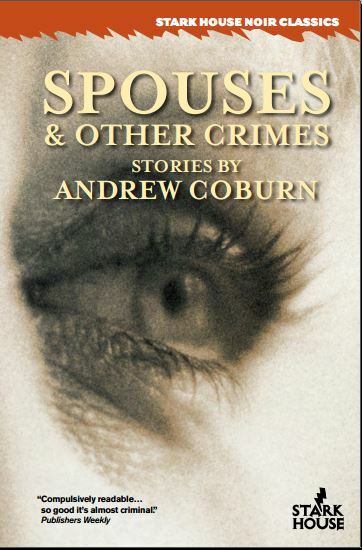 And by all means, stretch a little if you're a fan of beautiful and haunting writing and pick up Andrew Coburn's Spouses & Other Crimes.